Bred for the American Craft Beer Revolution, this German is bold and rivals many southern hemisphere hops. A clean, floral and fruity profile offers exceptionally fresh hoppiness. Hallertau Blanc is bursting with flavor and aroma but lacks any dank character. 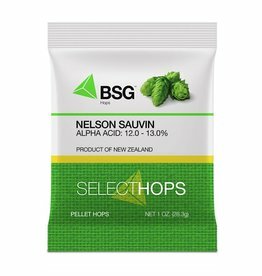 Passion fruit, grapefruit, pineapple, gooseberry, lemongrass and white wine make this new-age German hop well-suited to IPAs, Pale Ales, Belgians, Wheat beers and Brett fermentations.